About Us | Eduabroad Consulting Pvt. Ltd.
Eduabroad Consulting, established in 1994 is a leading overseas educational consultancy with offices in Mumbai and New Delhi, India. Eduabroad provides customised personal educational services from the high school to the PhD level advising those who wish to study in the United States of America, United Kingdom, Canada, Germany, Australia, Singapore, India and many more countries. Eduabroad Consulting helps students find the best match for higher education in ‘any course, any country’. We believe that the youth holds the key to the future, and we are here to help motivated students realize their dreams through education. We place students in countries around the world based on academic merit, career vision and budget. Eduabroad is unique in its approach because it goes beyond recruitment to facilitate collaborations for faculty development, research, student visits, and guest lectures. We offer comprehensive career counseling services which is personalised, unbiased and efficient. Right from its inception, Eduabroad has had an obsession with authenticity and quality which is the hallmark of the organisation until today. We have successfully sent students from H.R College, Jai Hind College and St.Xaviers College, Mumbai to University of Berkley (USA) for Summer Programs. We have also delivered King’s College Summer School to India and have currently brought the Columbia Business School Summer program to Mumbai. Our services to schools and universities are designed to assist the institution to enable its students to successfully apply to higher educational institutions in India and abroad. With over 12 years of experience in the field of education and career guidance. 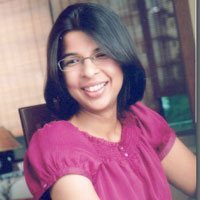 Previously Regional director at the University of Warwick for 6 years with responsibilities in business development, admissions & recruitment, academic liaising, student evaluation and coordination of guest lectures & workshops, Sonam has the knack of solving academic queries of students guiding them perfectly as and when needed. She has been a part of numerous workshops and mini counselling conferences across the globe. Constantly working towards creating skill based programs for high school and college students, Sonam has been instrumental in bringing an Ivy League School like Columbia Business School to do a summer program in Mumbai earlier this year (2017). 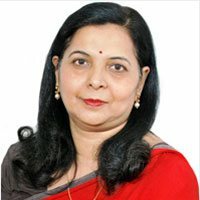 She has written for newspapers like Hindustan Times and The Times of India. Amongst the lead panellists at the Times of India Career Fair held in Mumbai. Priyanka is passionate about education and after completing an Engineering degree from DJ Sanghvi Engineering College, went to Cornell University (USA) to complete her Masters in Engineering and won the Knights Scholarship for her MBA. Part of the International Student Advisory Team for the Johnson School of Business at Cornell, Priyanka has mentored and interviewed many potential students for the MBA program. Priyanka has also conducted seminars and even lecture series in various universities in India and Internationally as her job as a leading Global Marketeer with Johnson and Johnson has seen her based in US, India, Malaysia and now Singapore. 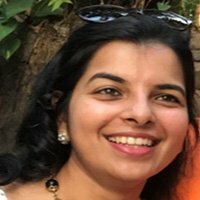 Priyanka has the advantage of being a unique mentor and advisor due to her vast corporate experience and international education.